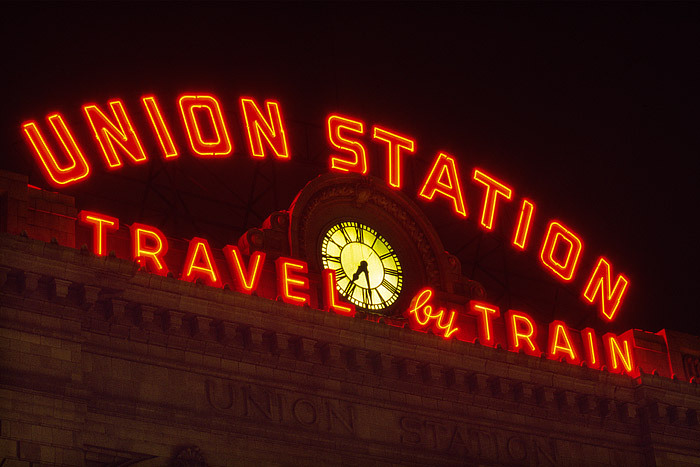 The famous neon sign that sits atop Denver's Union Station shines brightly over Denver's lower downtown area. Union Station is the starting point for the famous Ski Train as well as a stop of Amtrak's Chicago to Oakland California Zephry's. Photo © copyright by Thomas Mangan.